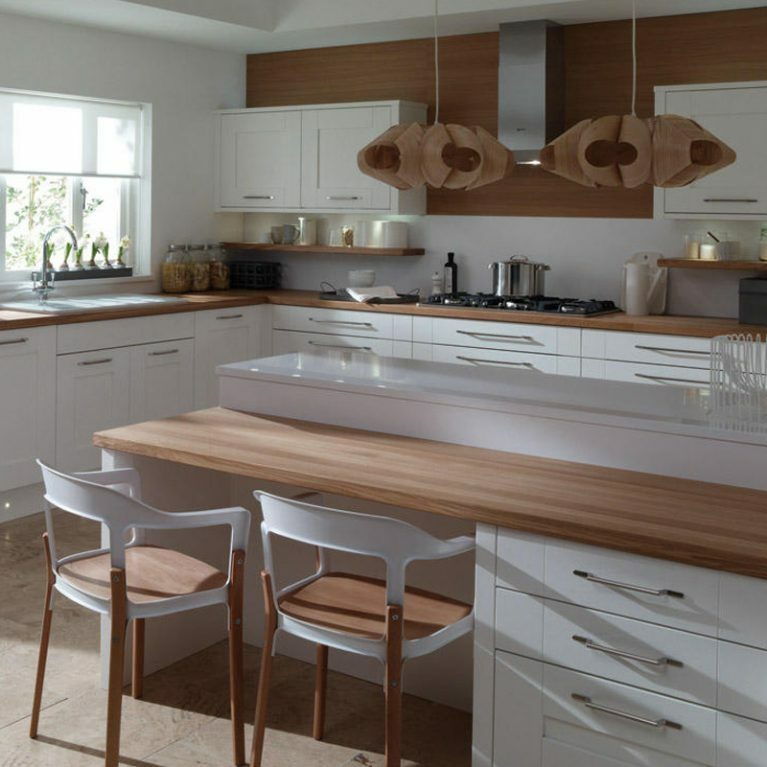 Sometimes simple design is best, and it most certainly doesn’t mean boring. 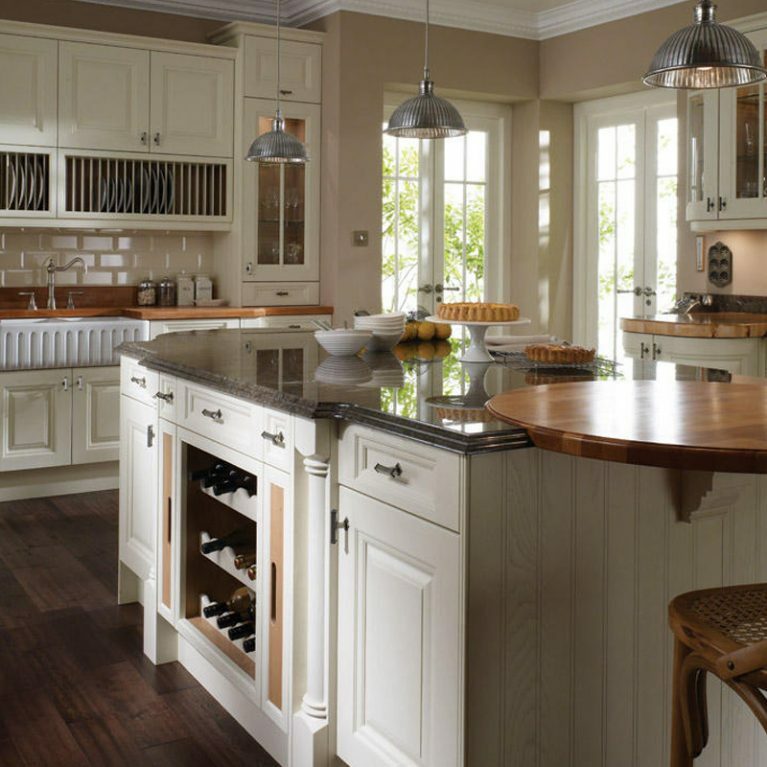 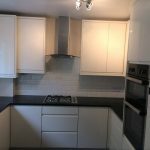 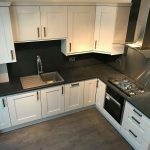 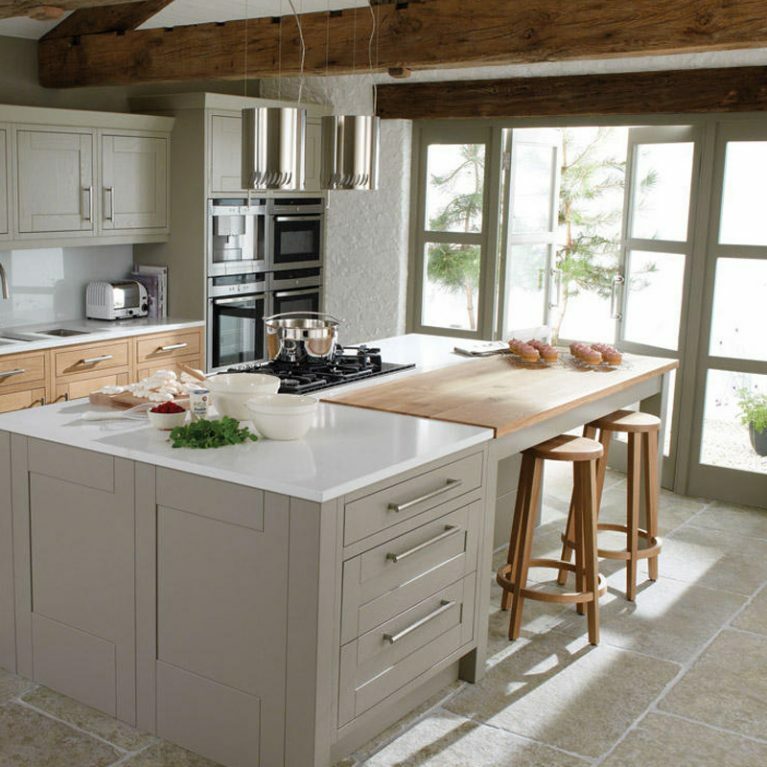 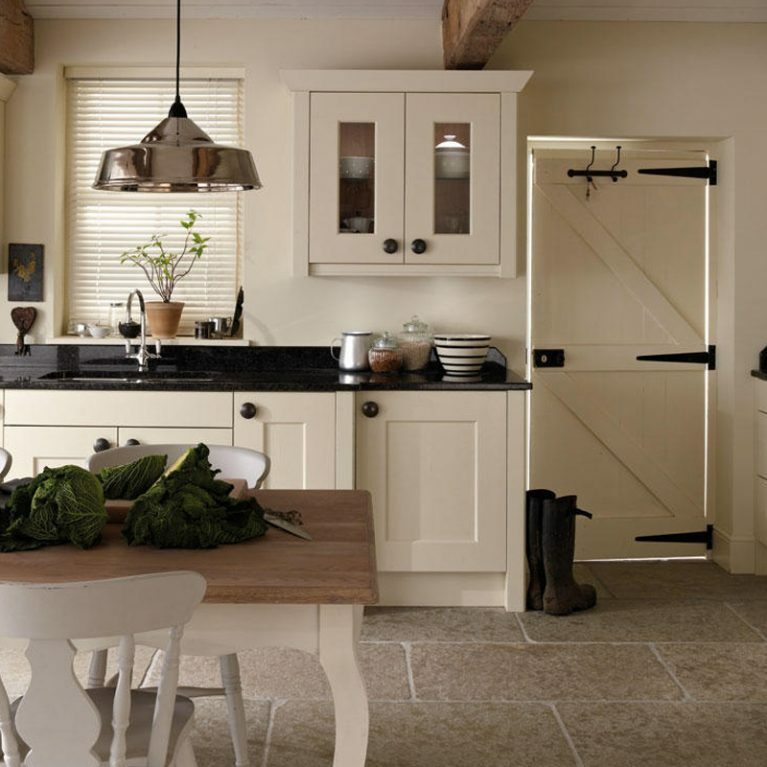 Number One Kitchens’ Porter White kitchen is proof of that! 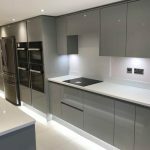 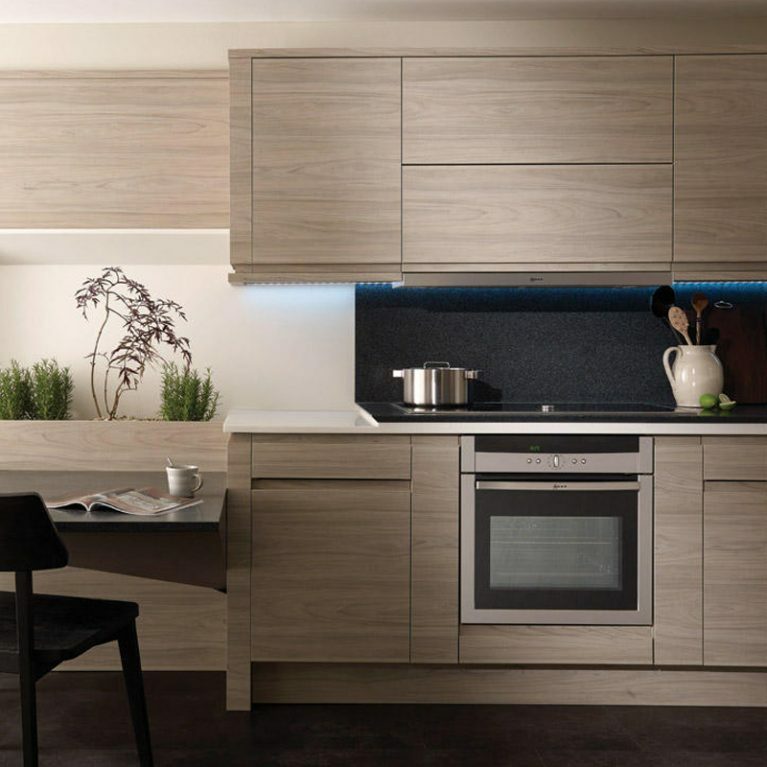 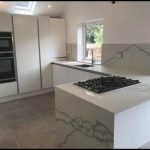 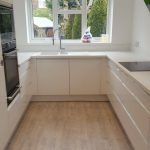 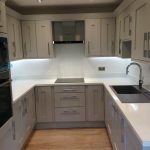 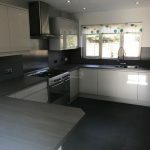 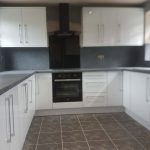 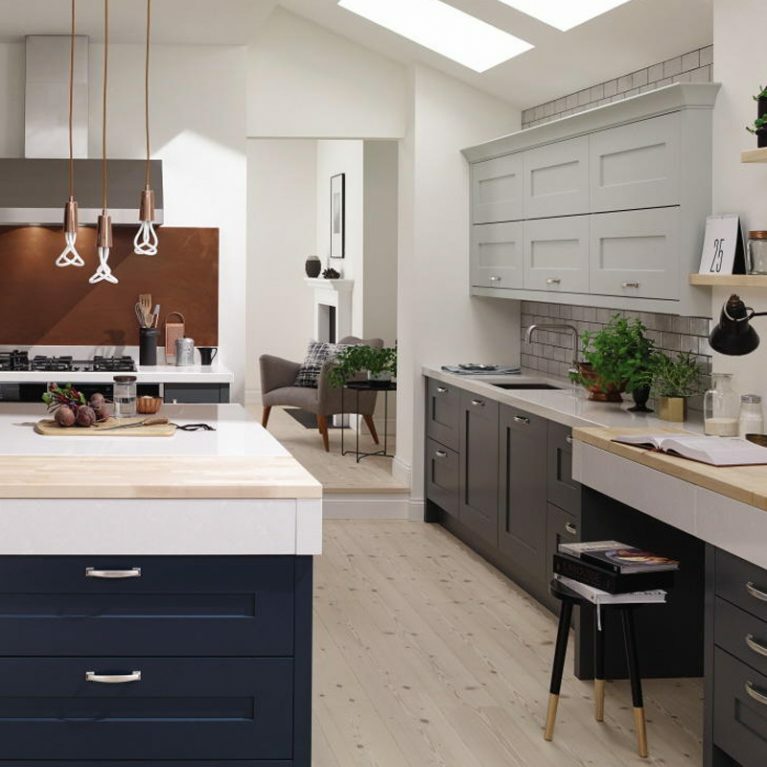 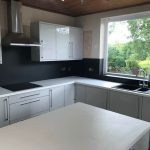 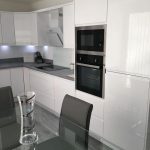 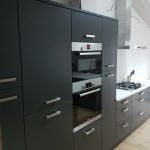 This absolutely gorgeous and contemporary kitchen design has stolen the hearts of many people around the UK, and after one glimpse it’s not difficult to see why. 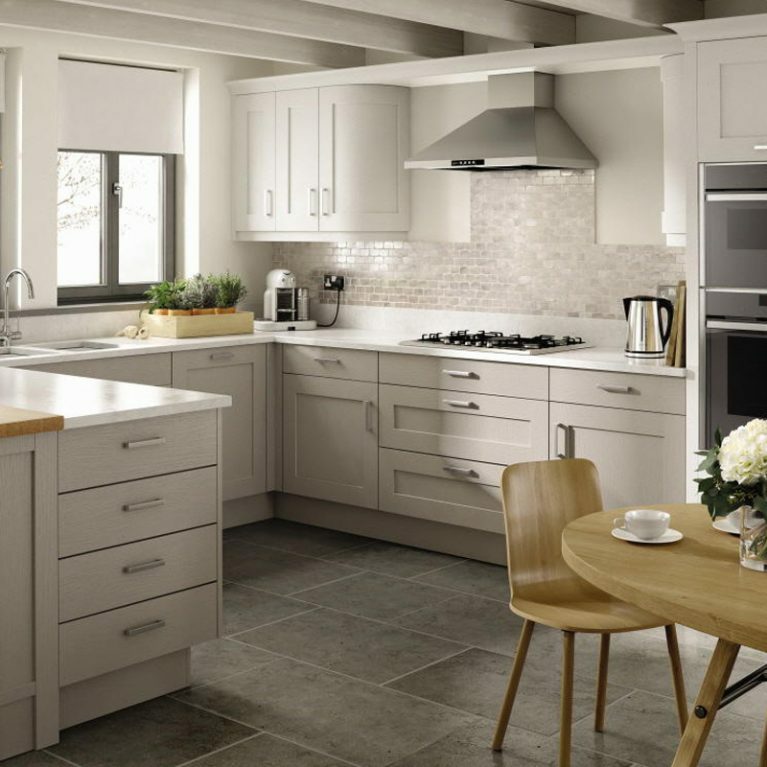 The Porter contemporary white kitchen is incredibly stylish, maximising the space in this kitchen design and offering you a wonderful range of storage options in the form of both upper and lower cupboards, as well as drawers, to ensure that there is a home for absolutely everything in your kitchen space, enabling you to keep your home in pristine condition and show off your beautiful design. 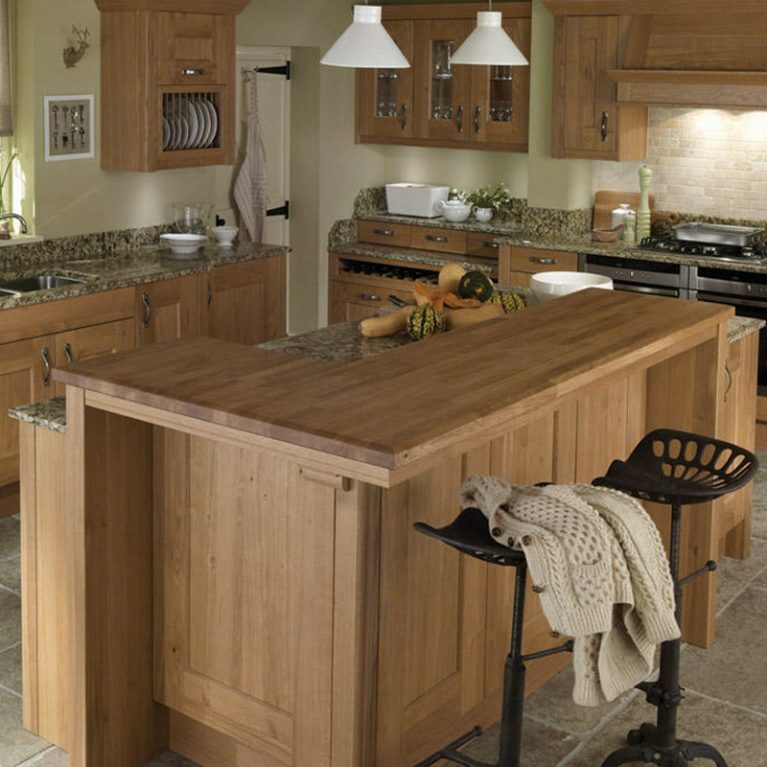 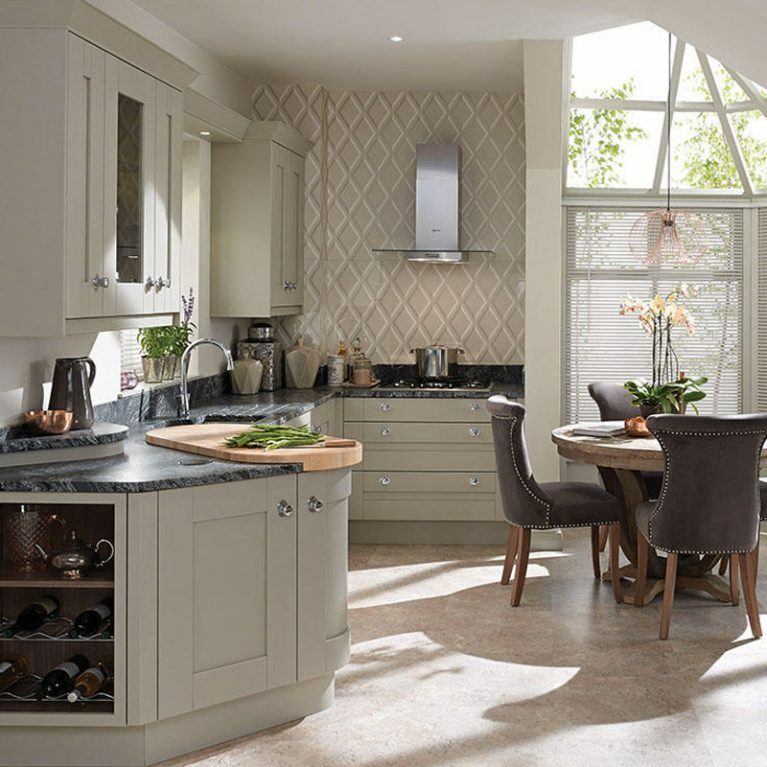 U-shaped design kitchens truly maximise the space in your kitchen. 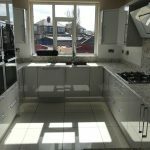 As you can see here, you’ve got the most gorgeous kitchen design which leaves a lovely open plan space for the heart of your home. 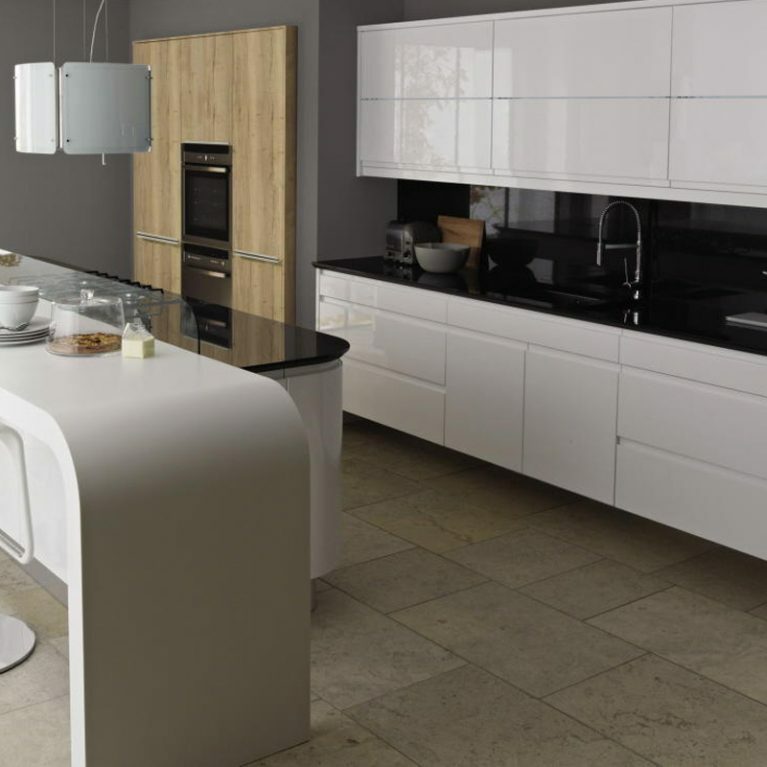 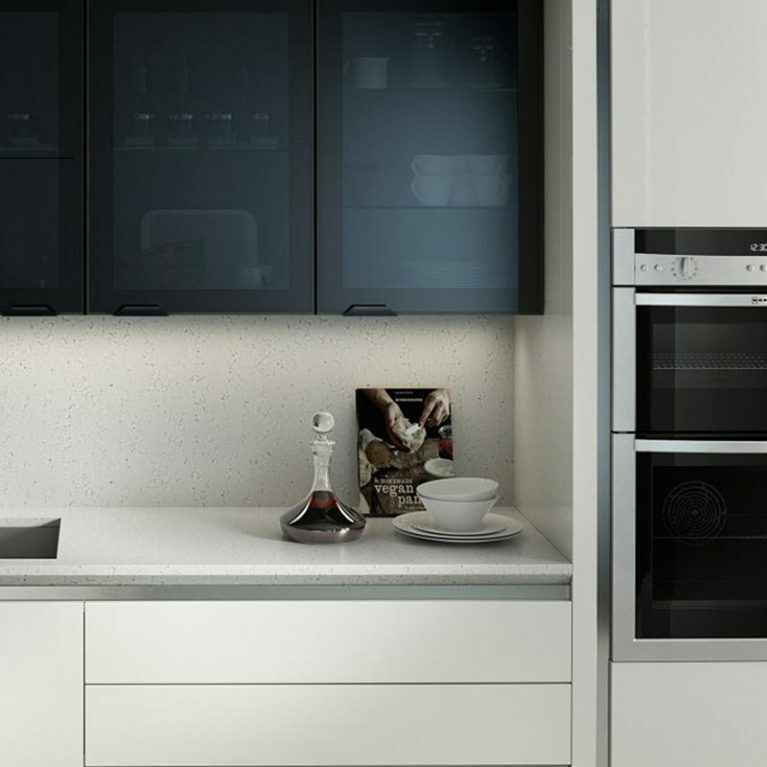 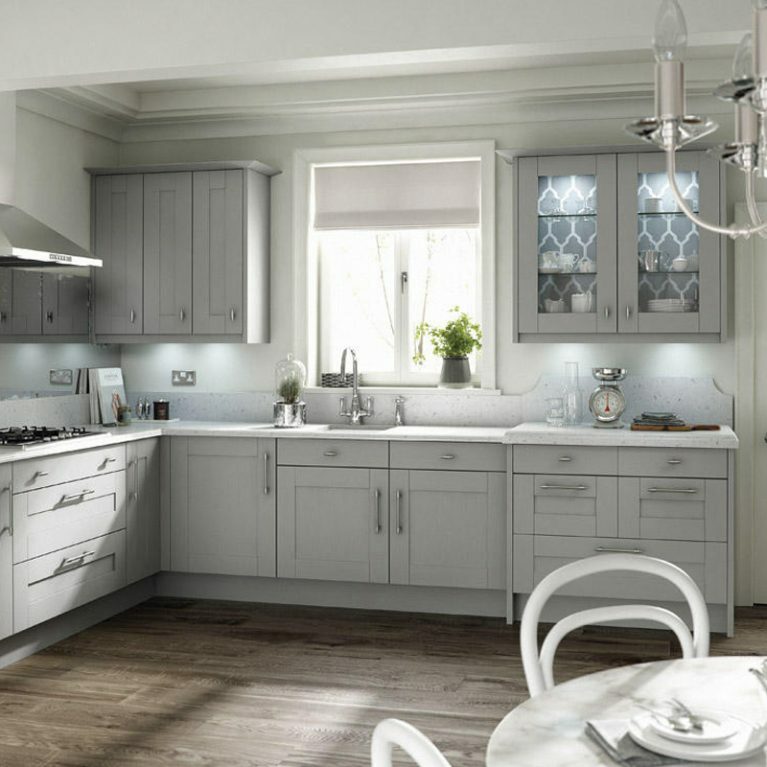 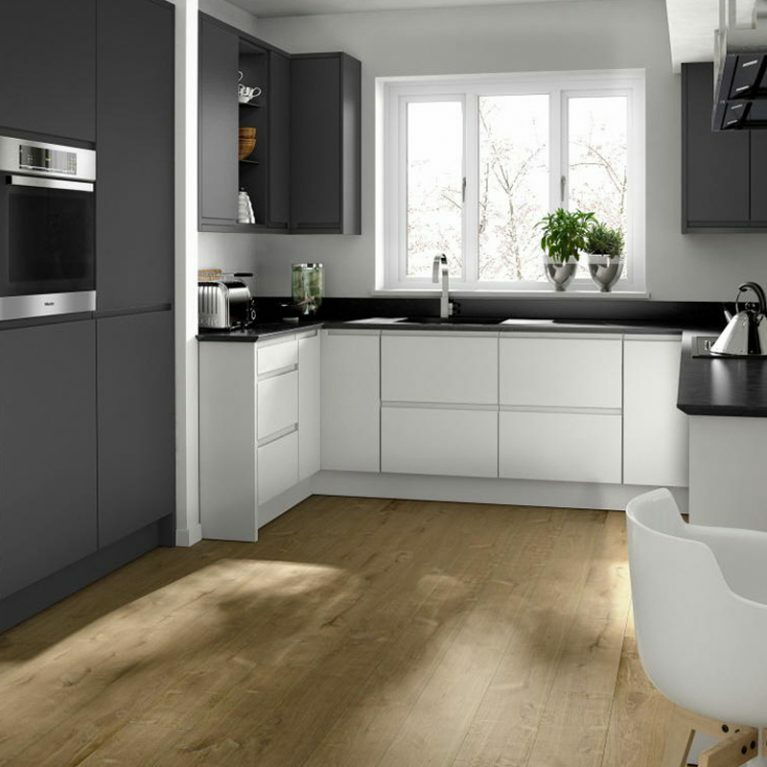 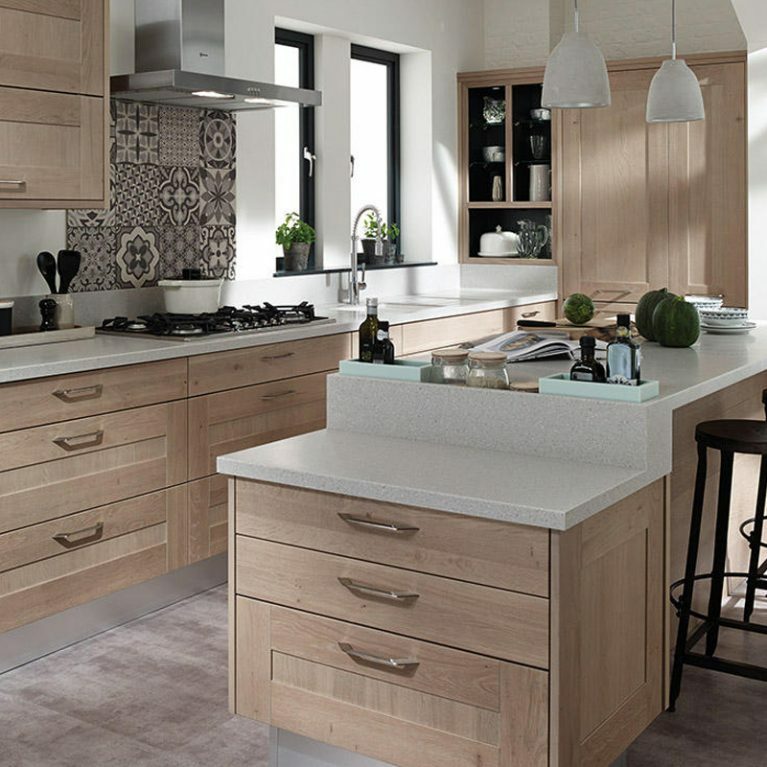 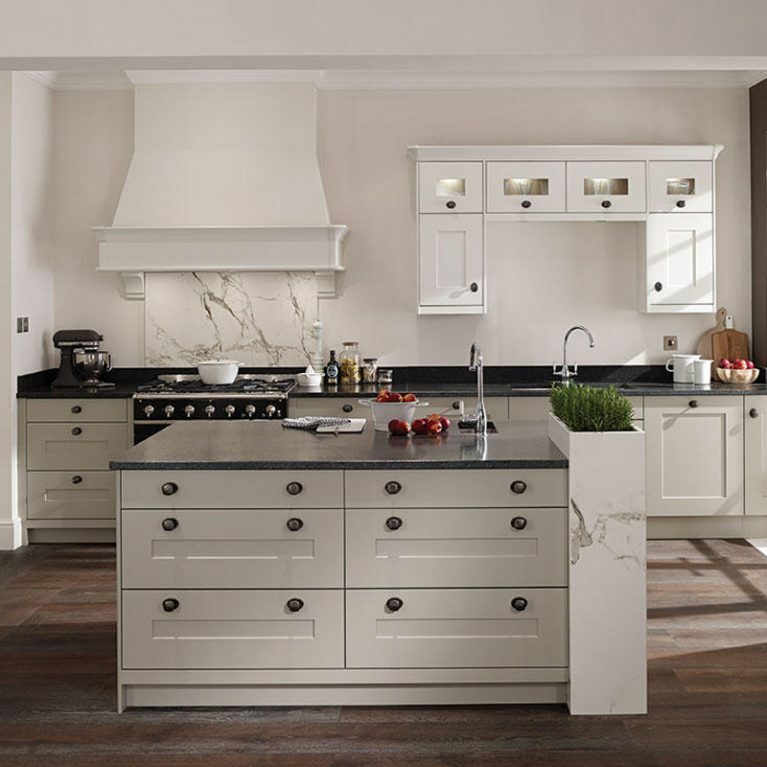 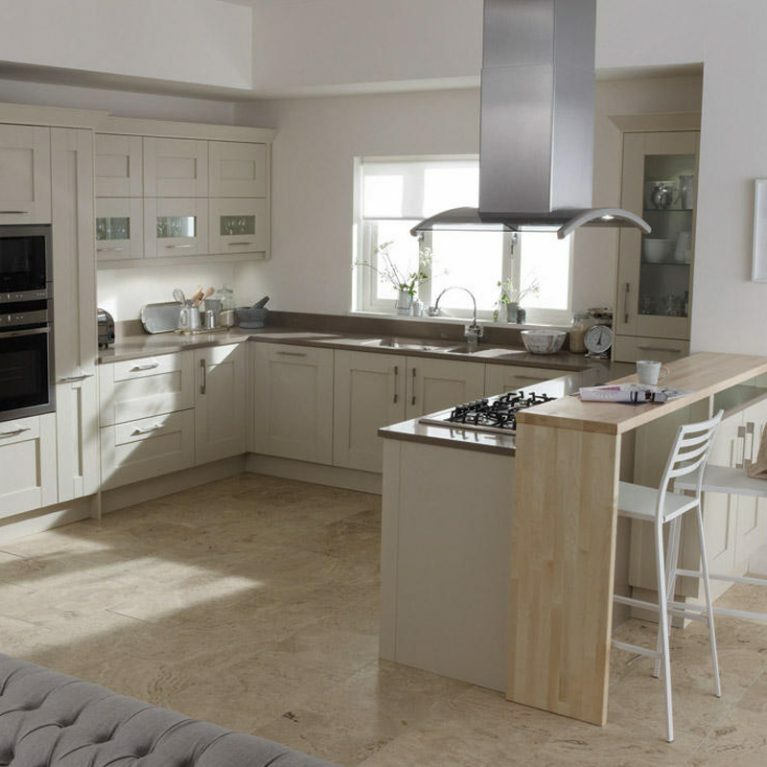 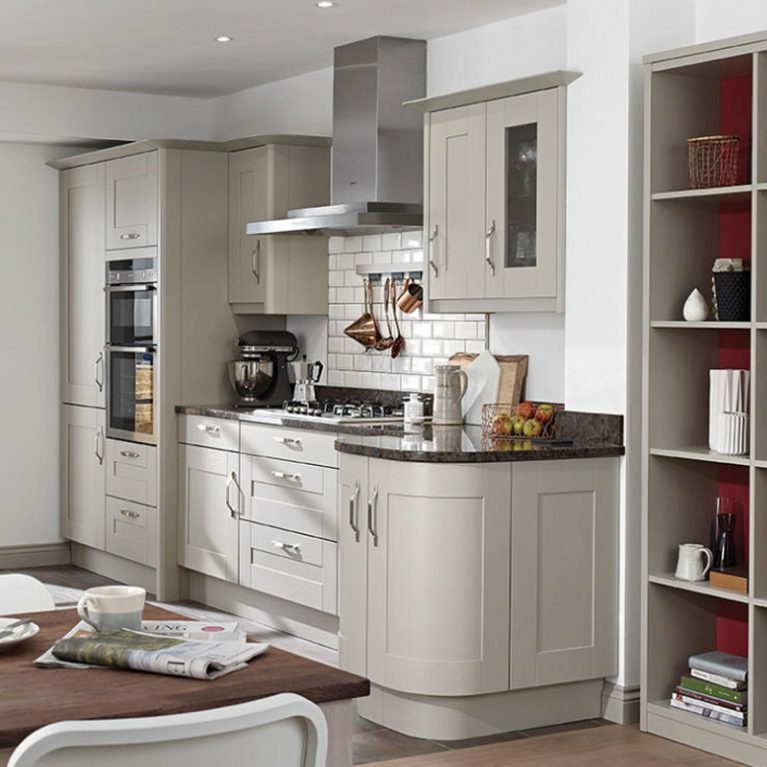 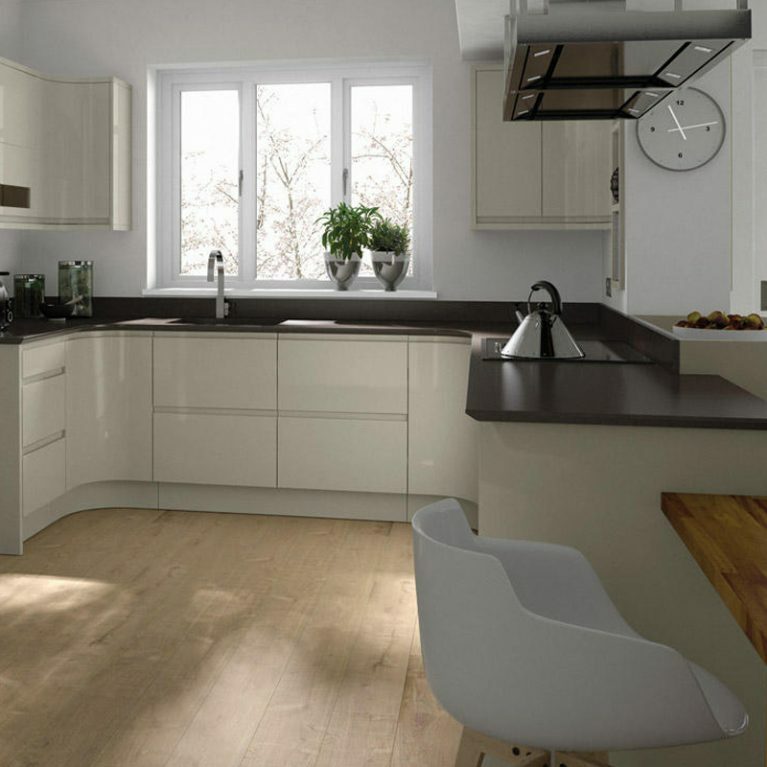 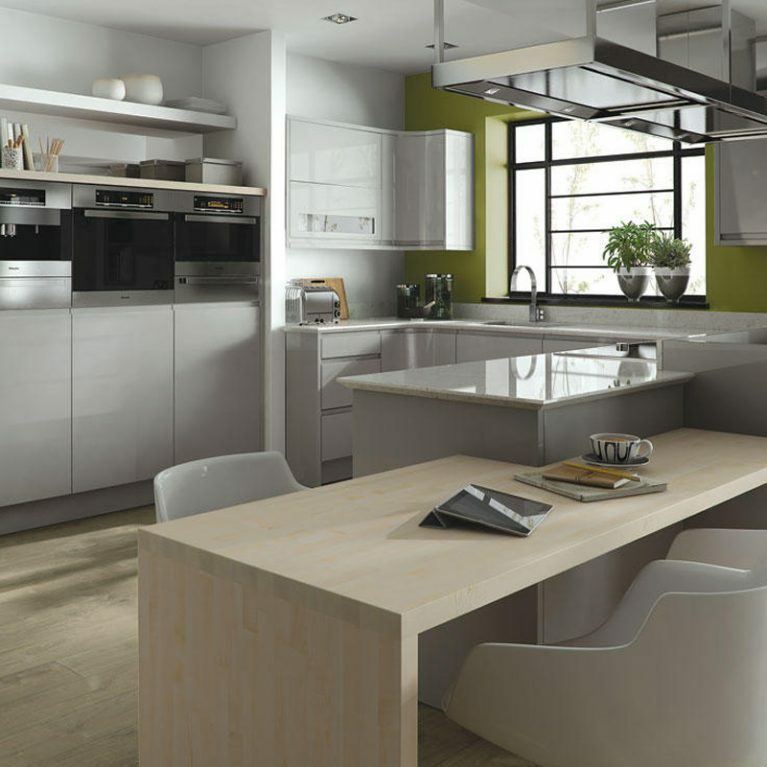 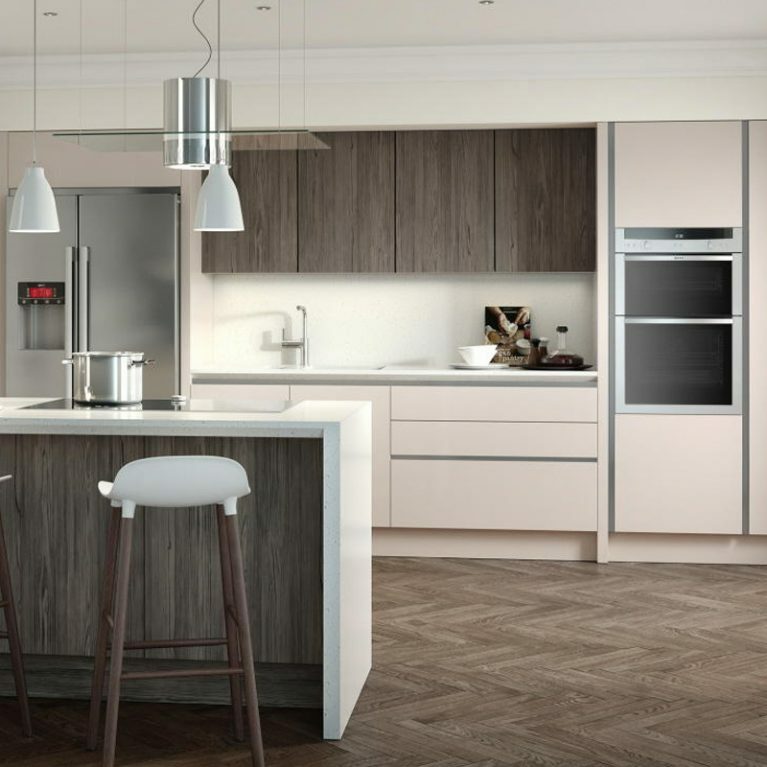 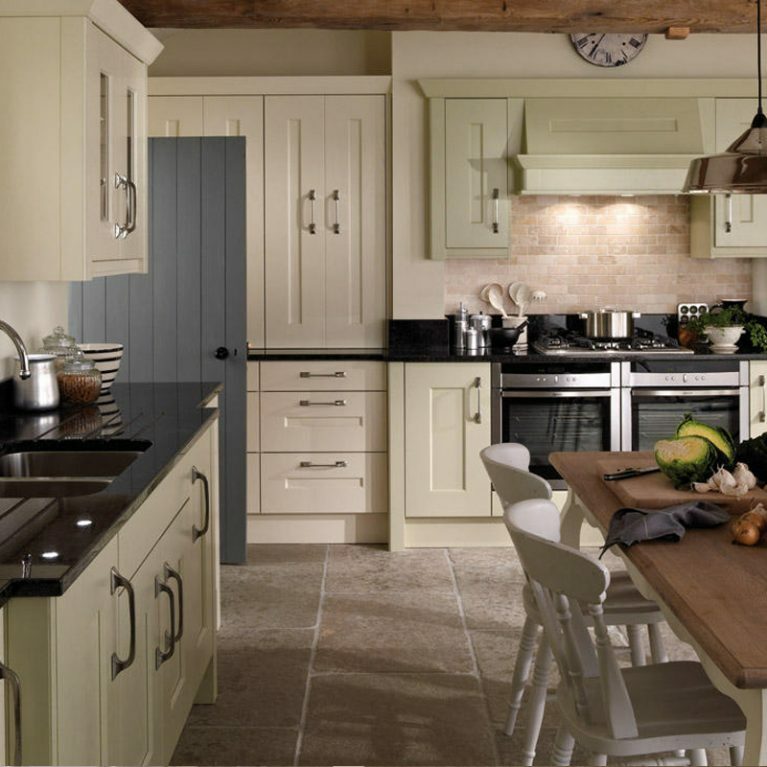 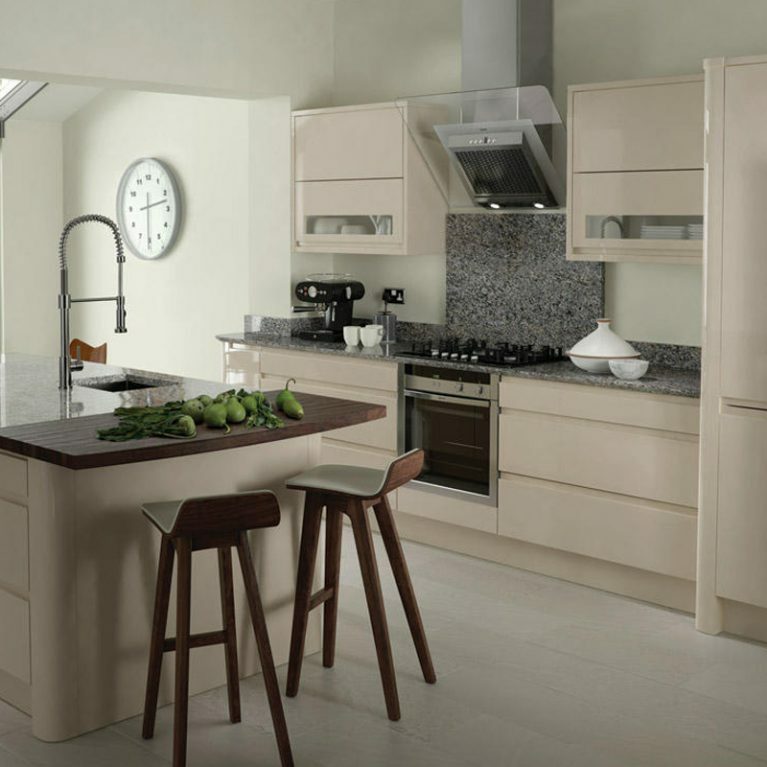 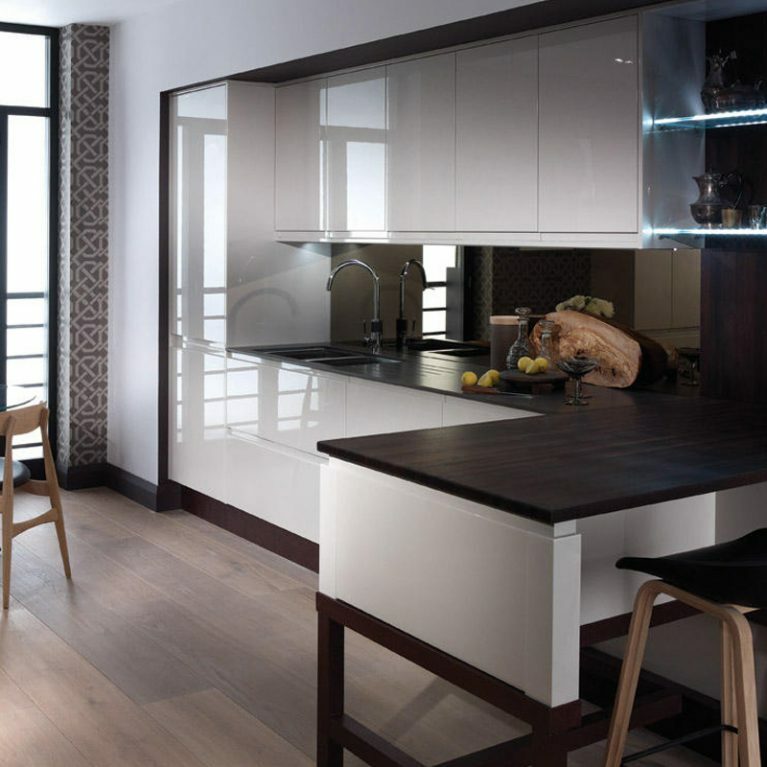 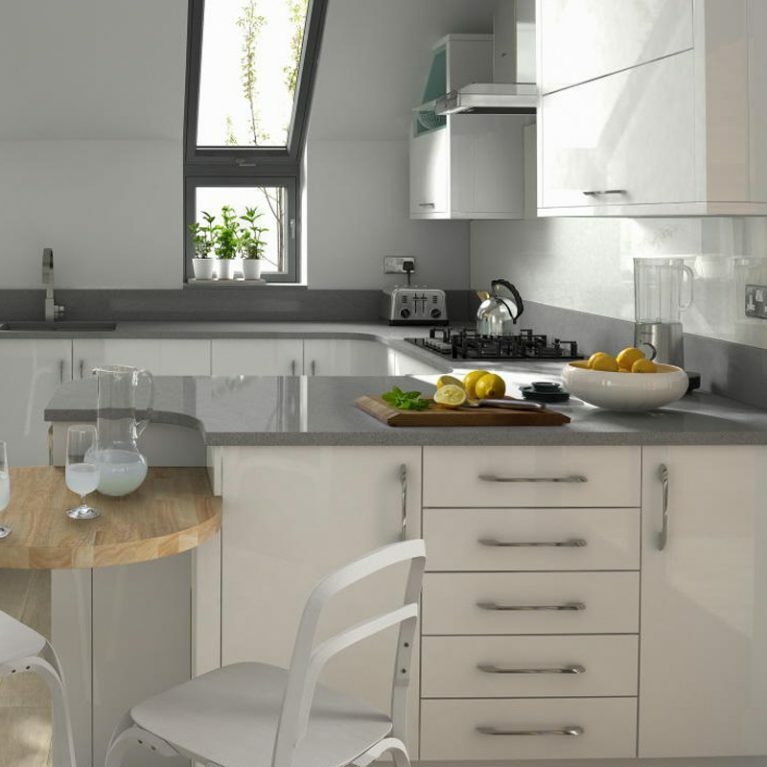 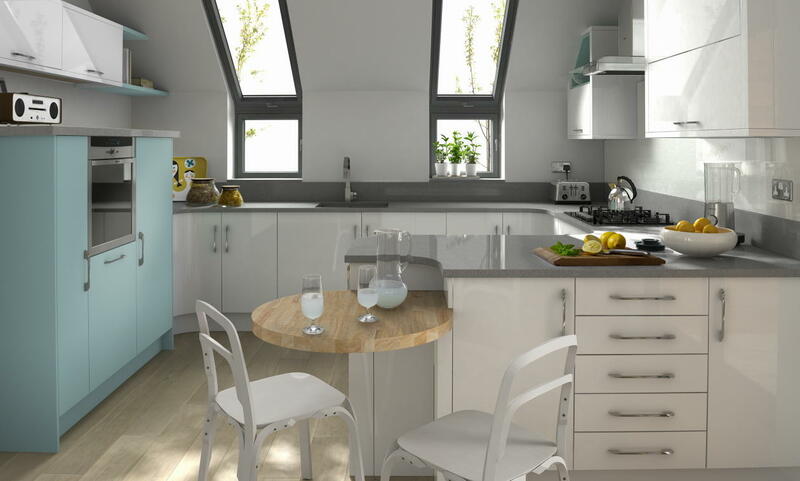 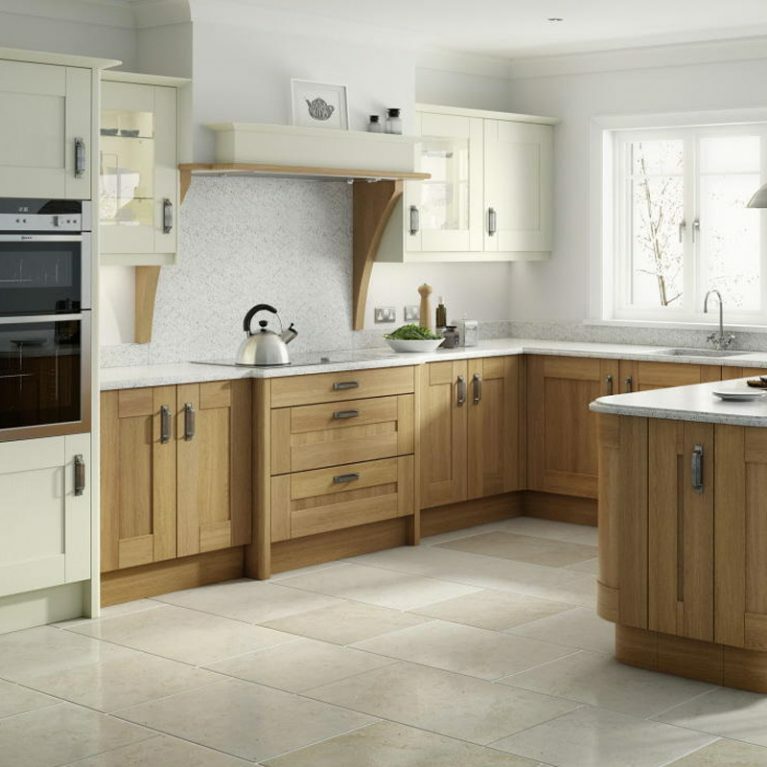 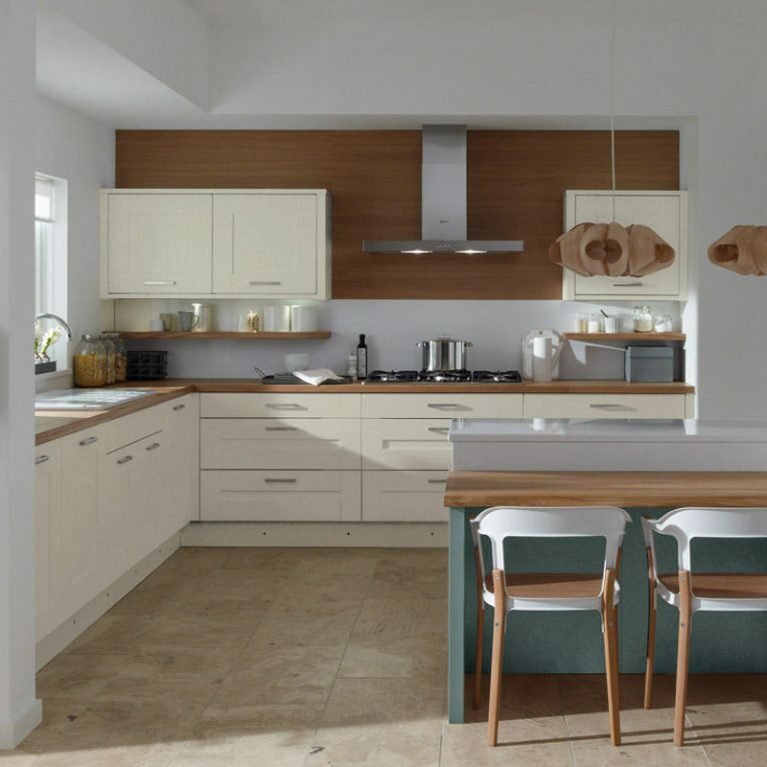 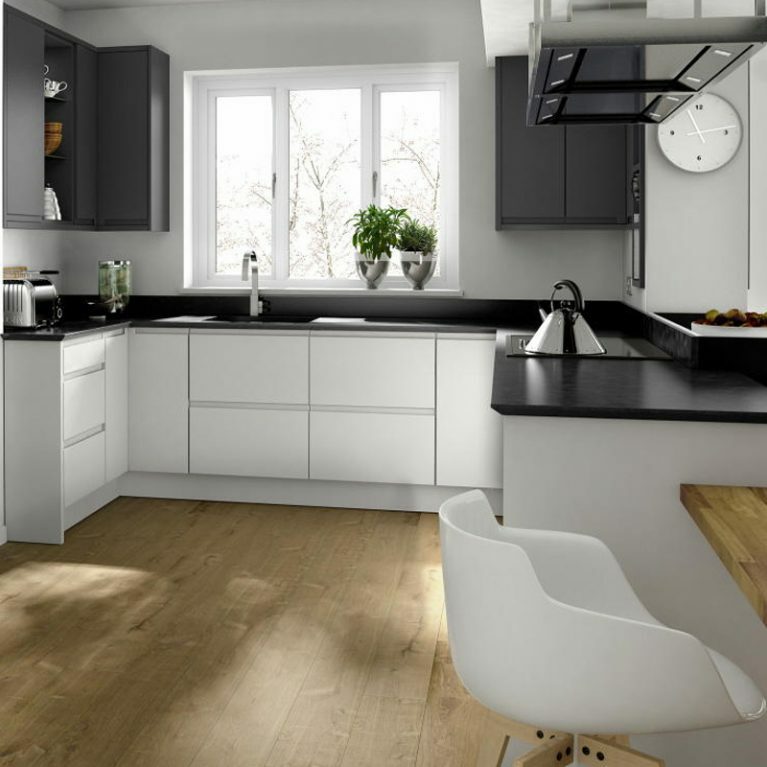 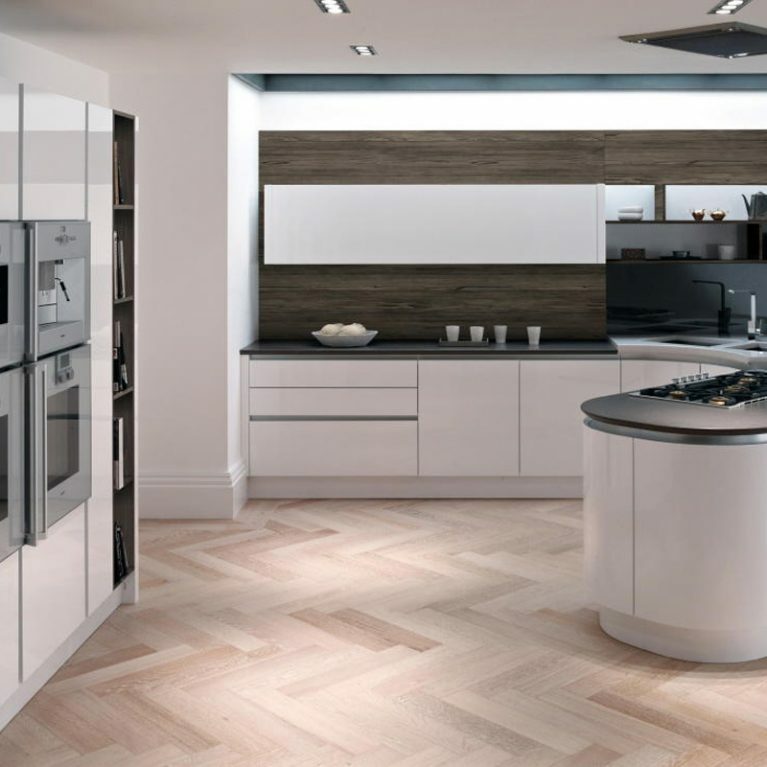 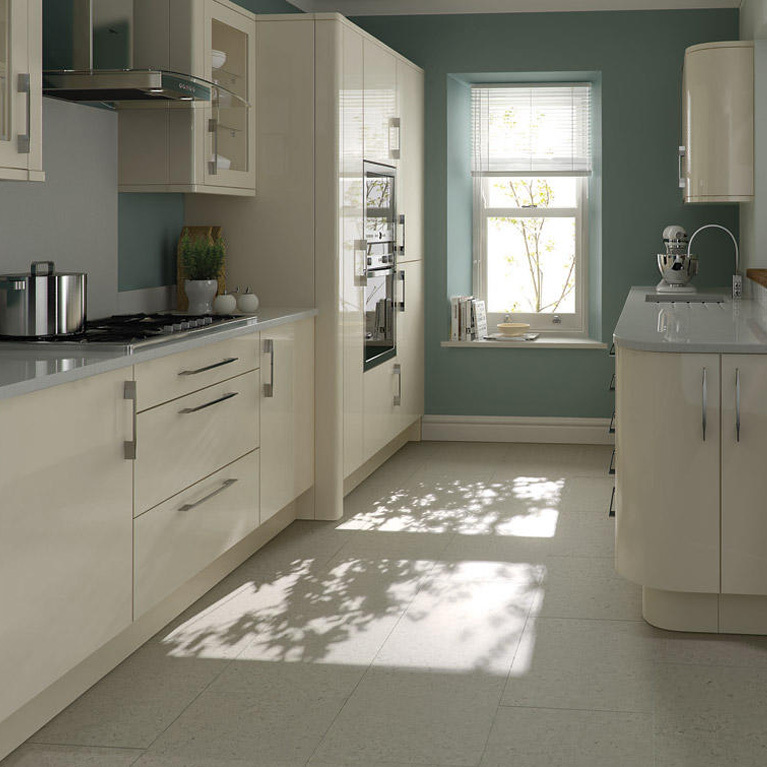 The Porter contemporary white kitchen utilises a white gloss shade for the cupboard doors. 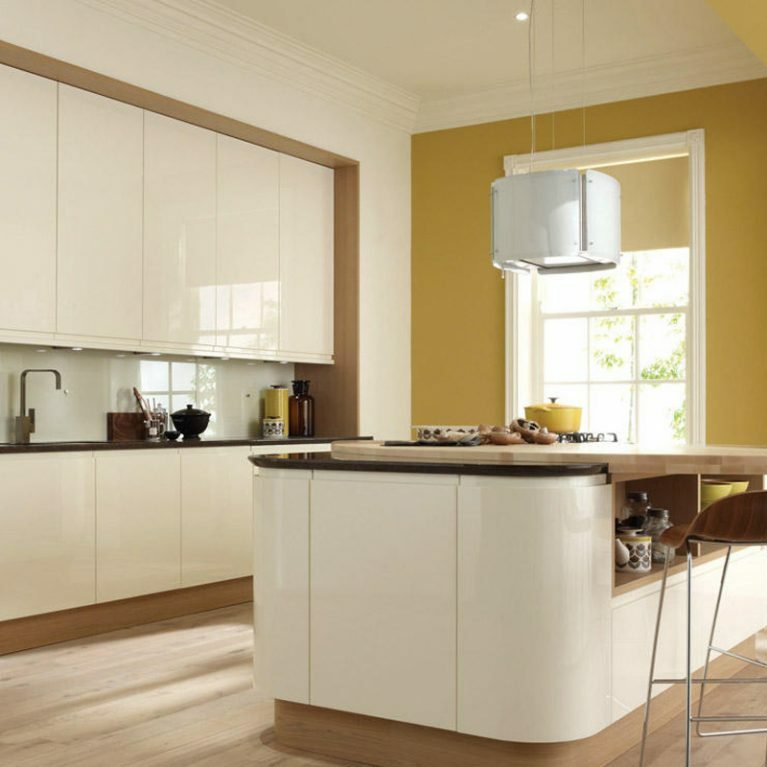 It creates a striking finish, adding light to the room to create an ambience of space. 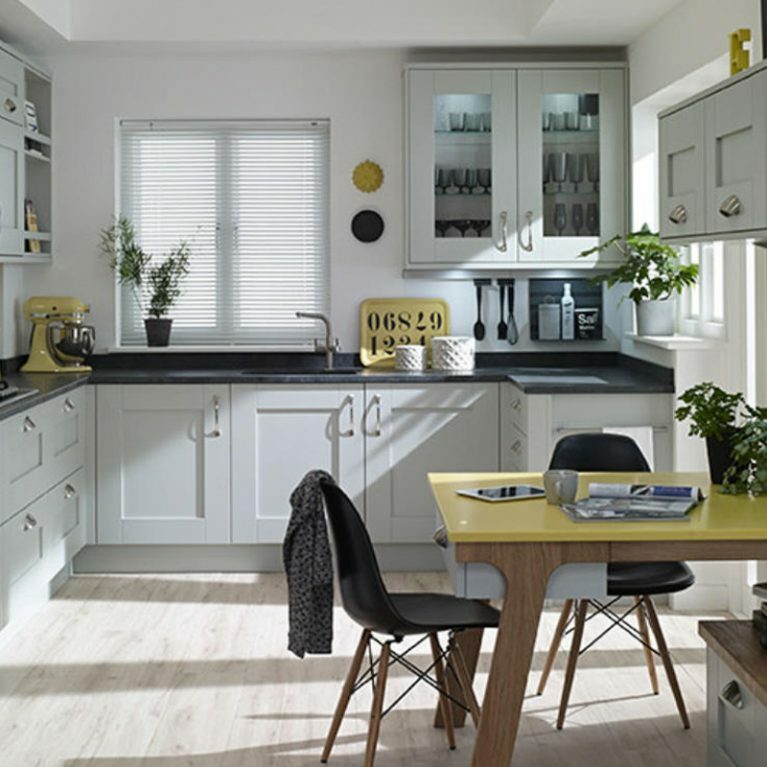 We’ve opted for a gorgeous chalk blue feature door as a contrast section in the Porter White kitchen seen in the pictures, creating a gorgeous colourpop effect. 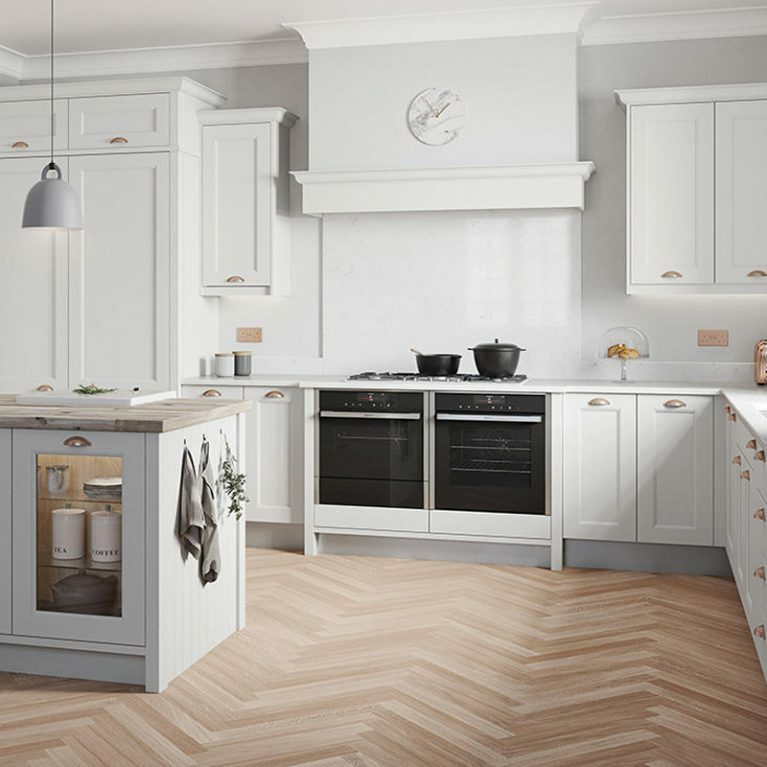 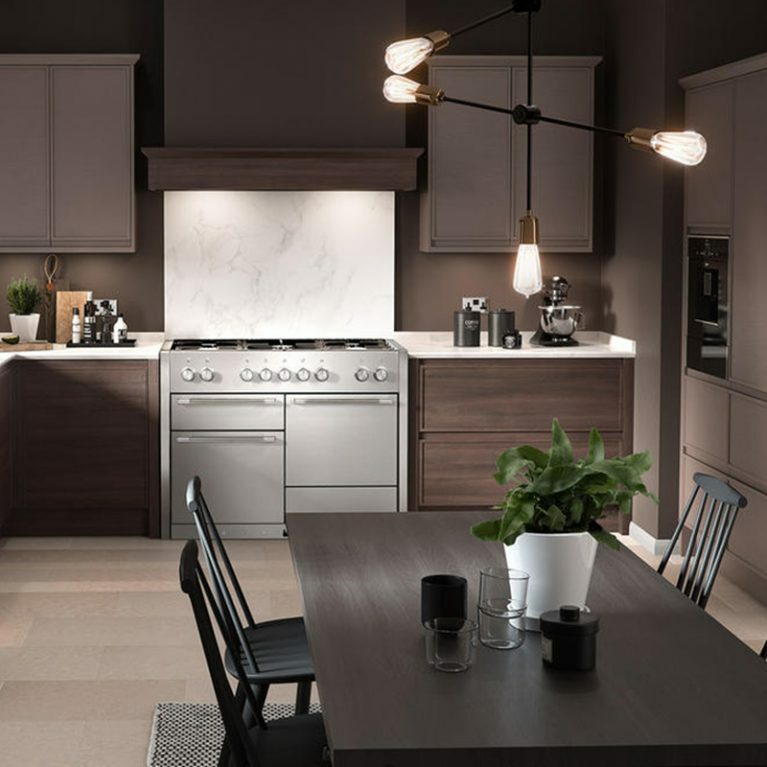 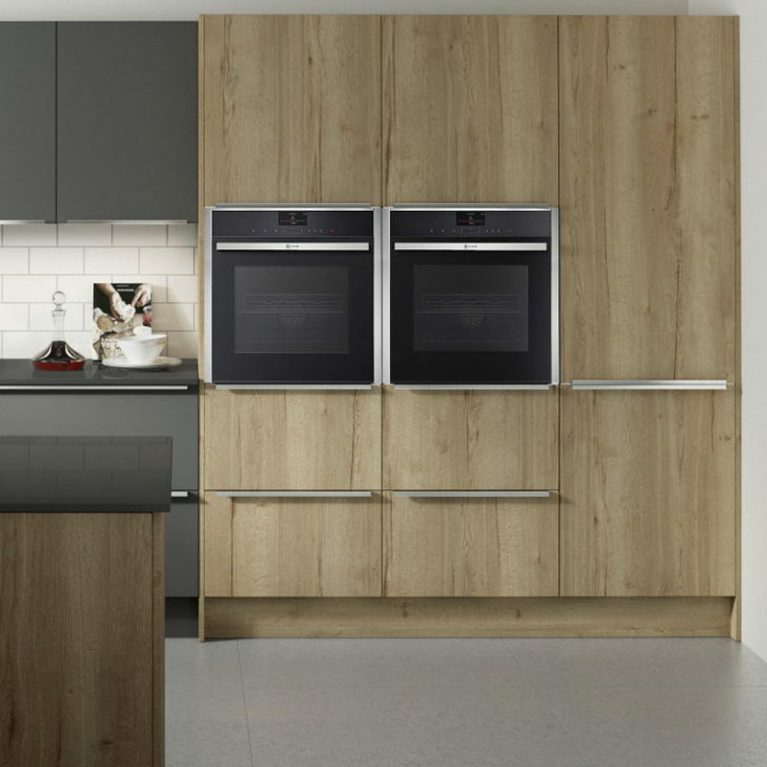 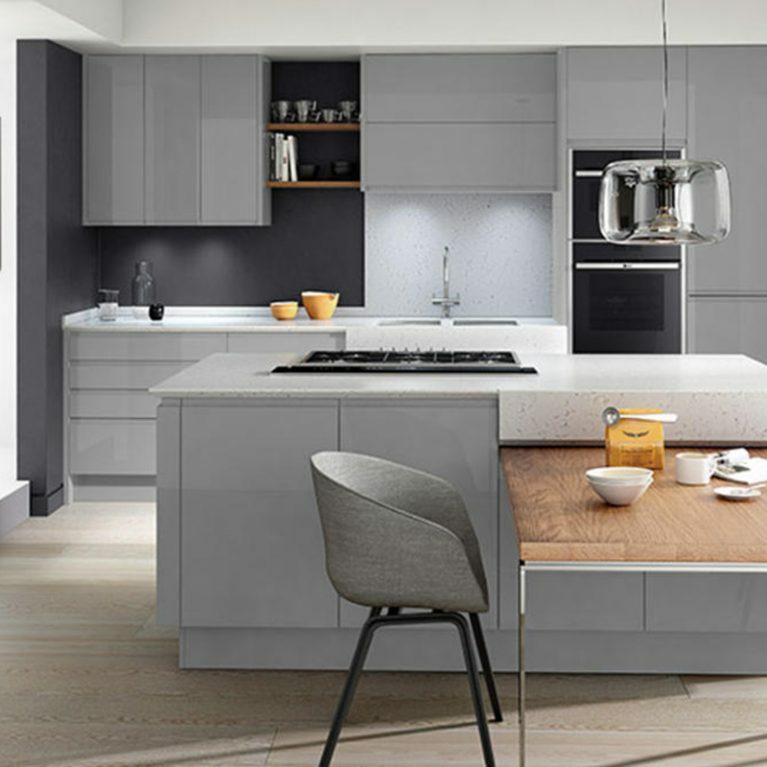 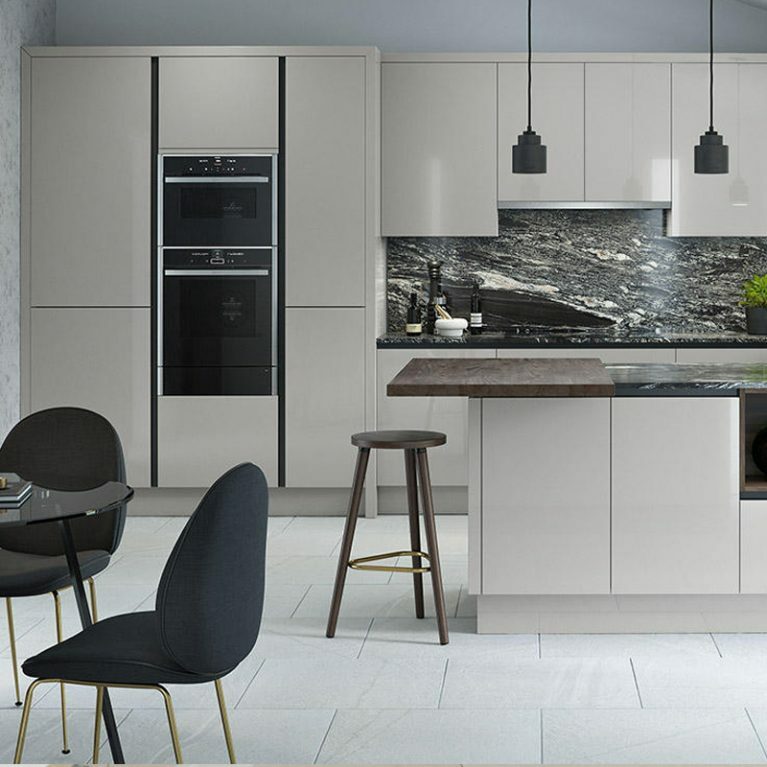 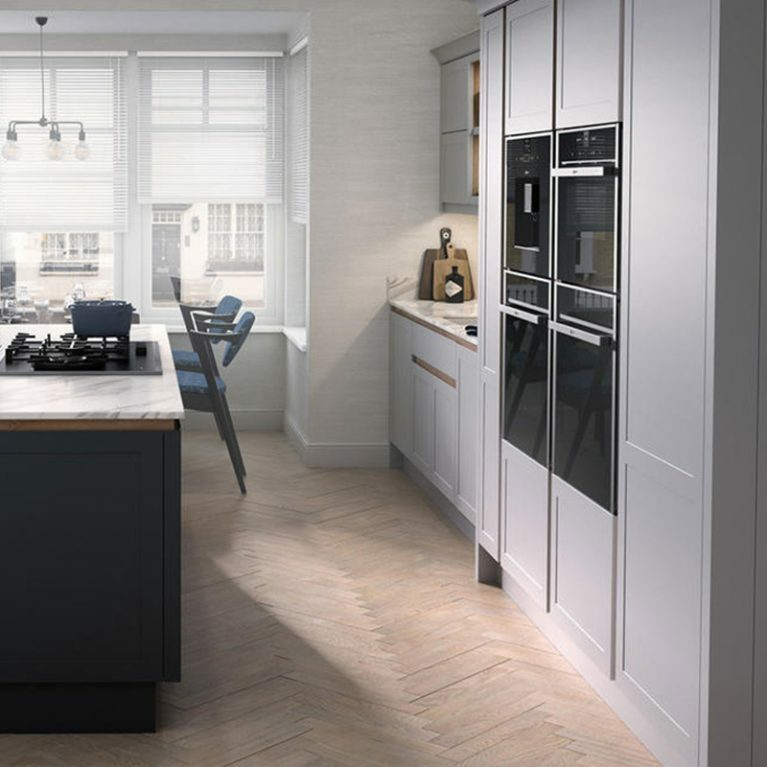 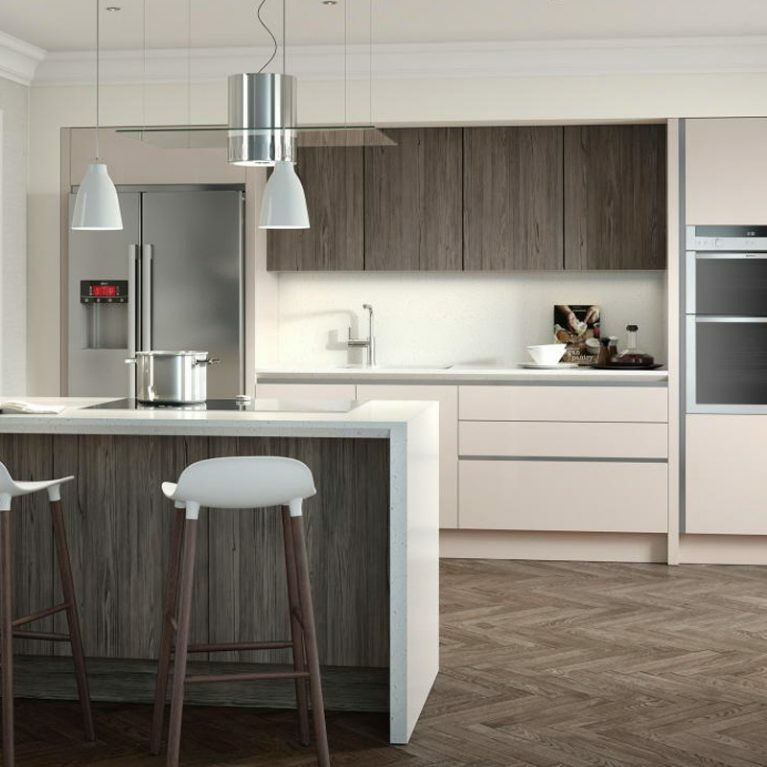 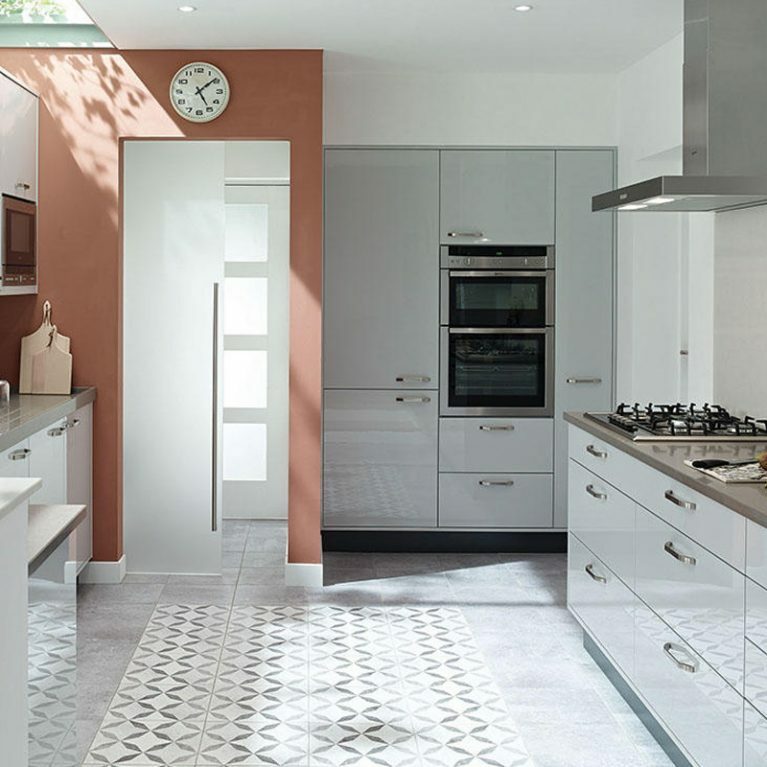 With your Porter contemporary white kitchen, you can choose from an incredible selection of colours and styles to customise it to meet your specific needs. 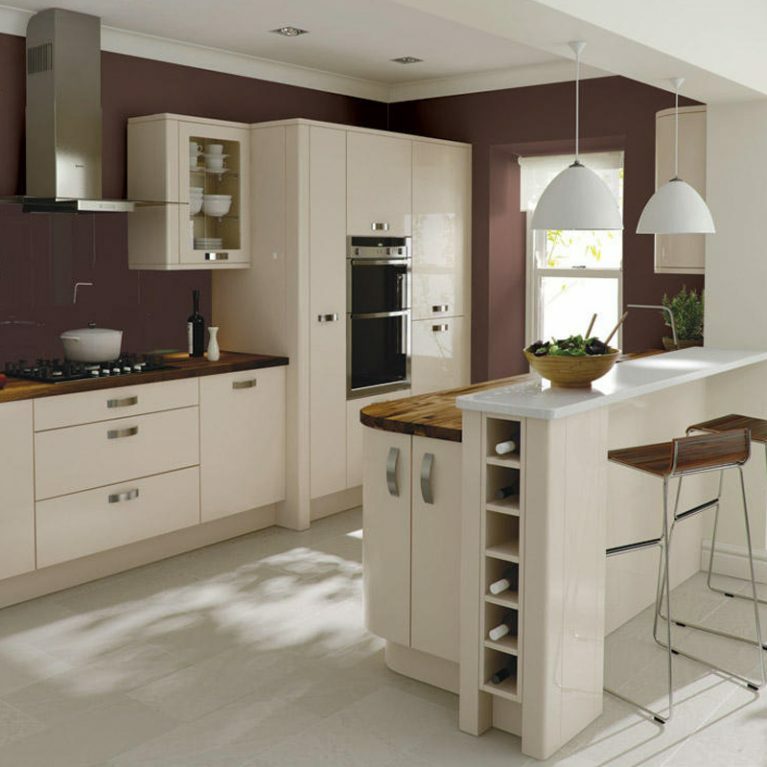 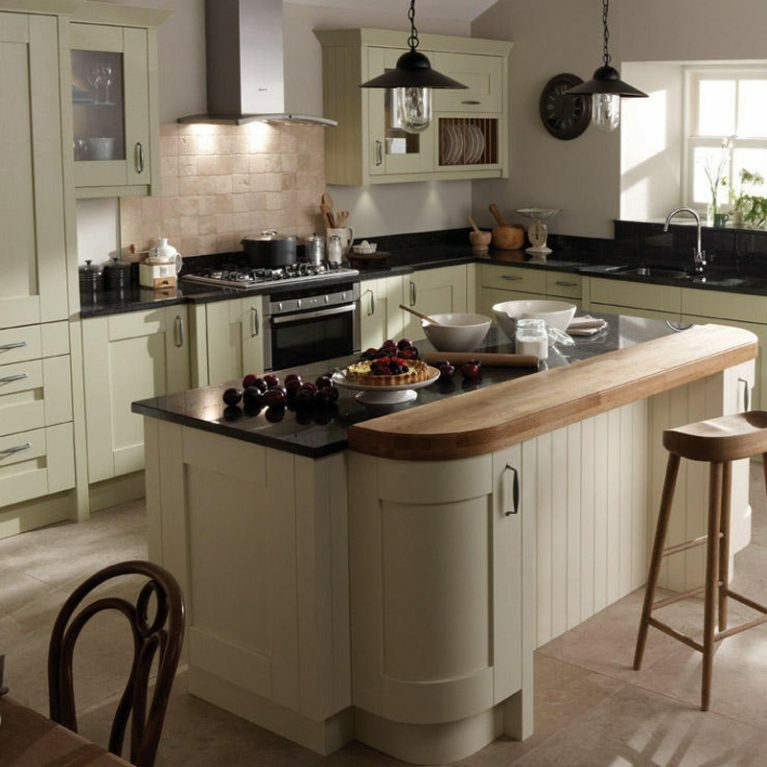 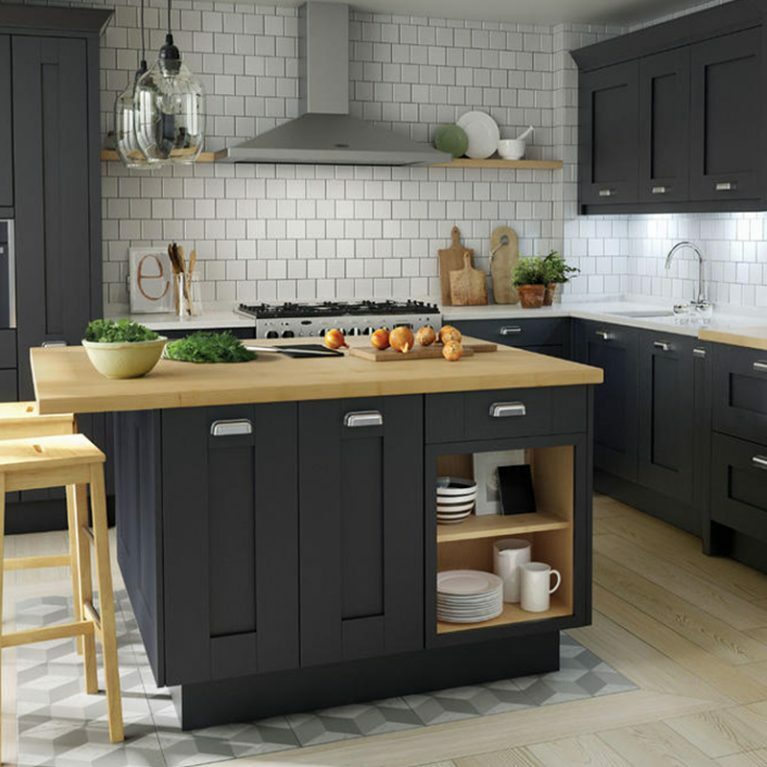 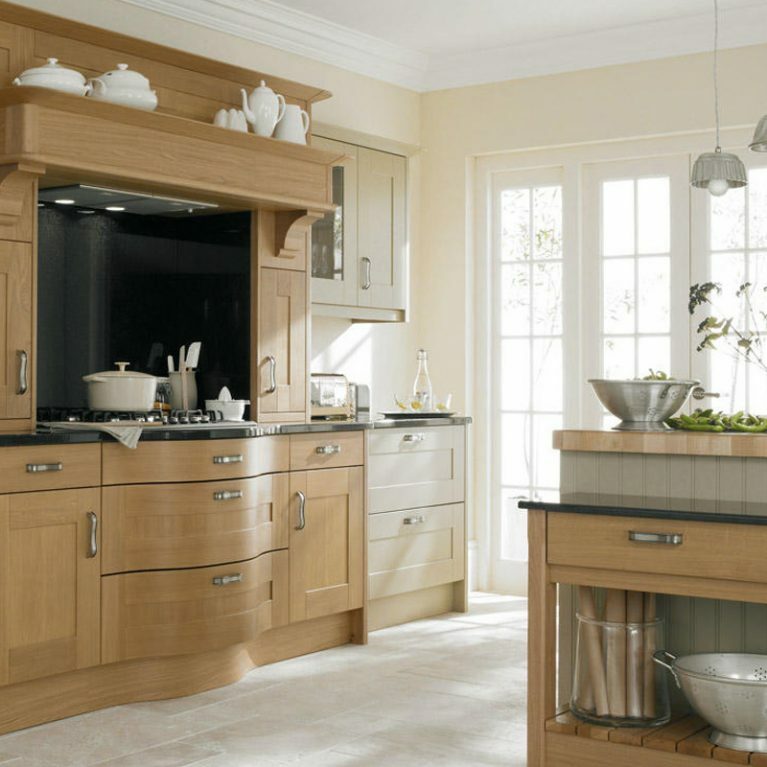 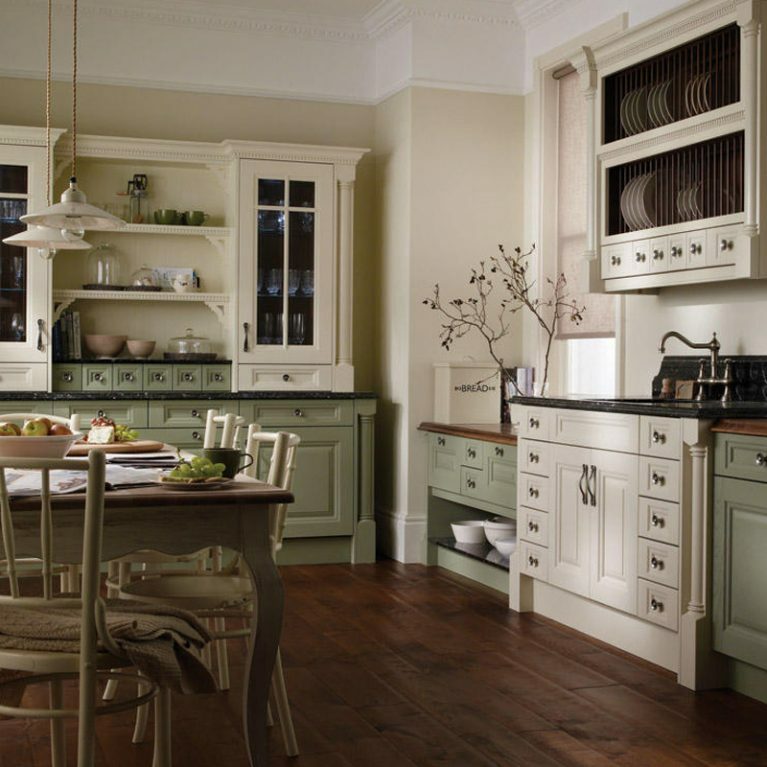 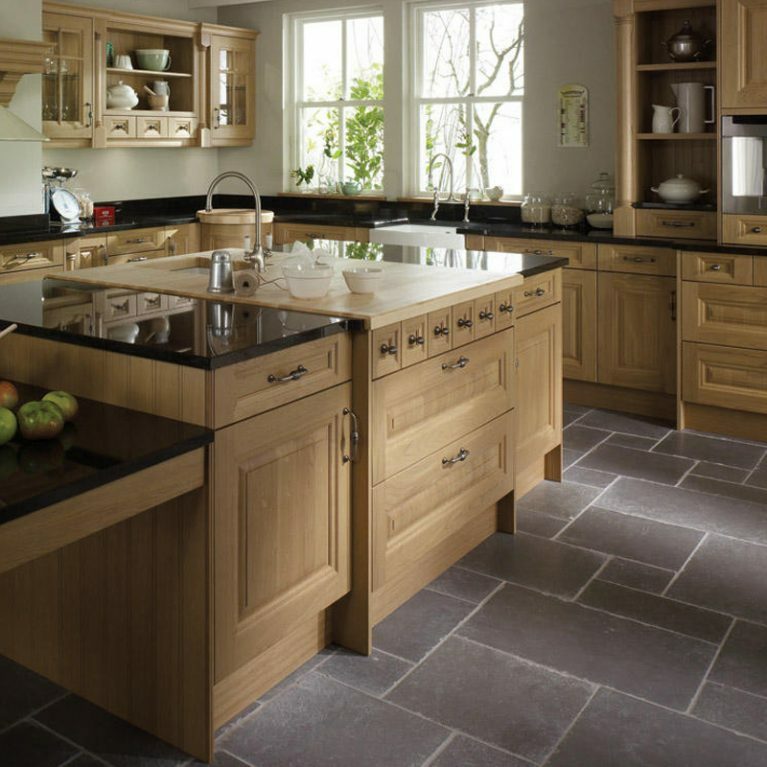 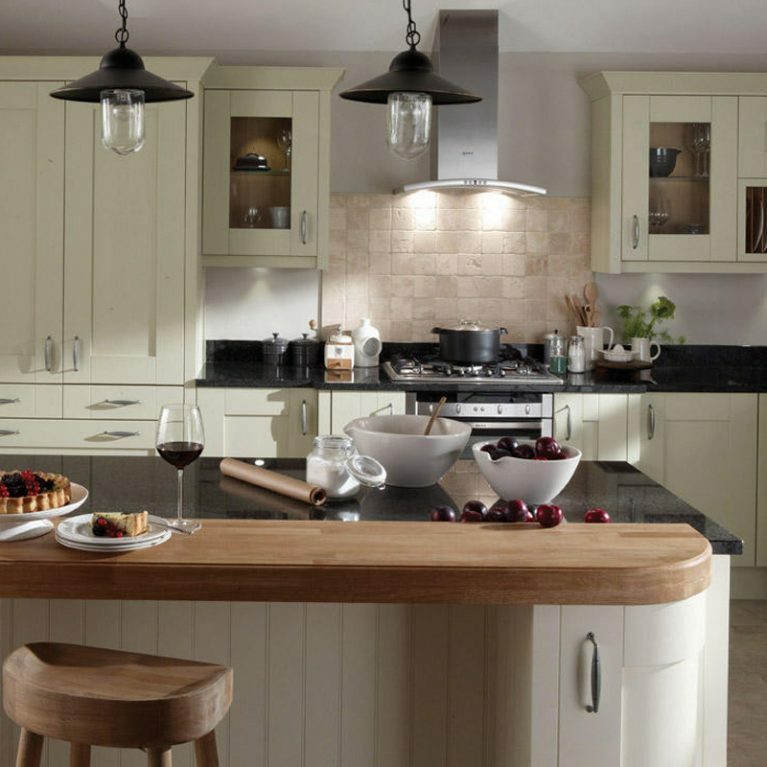 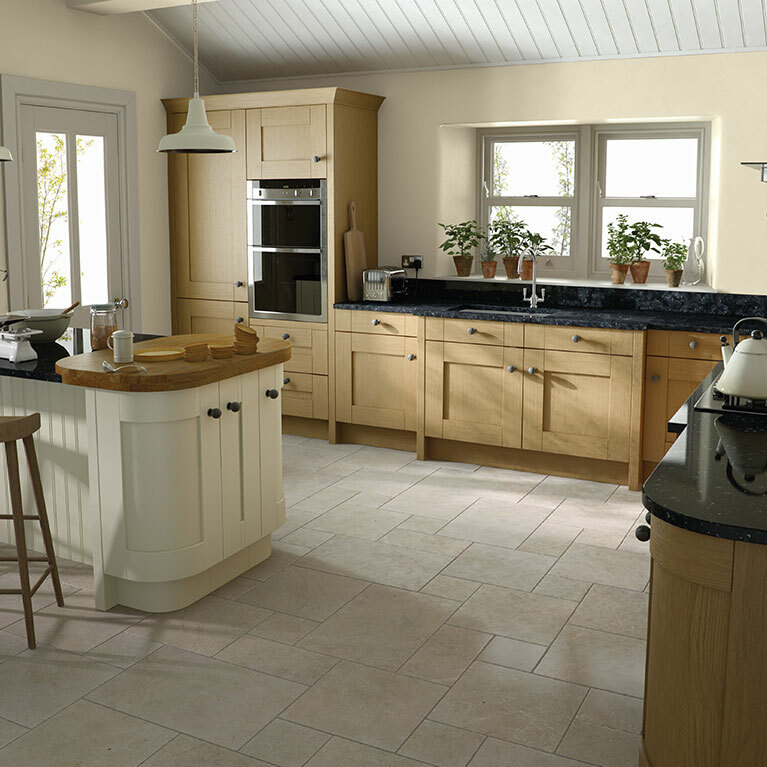 You can choose from 27 different stunning colours to customise your Porter kitchen with. 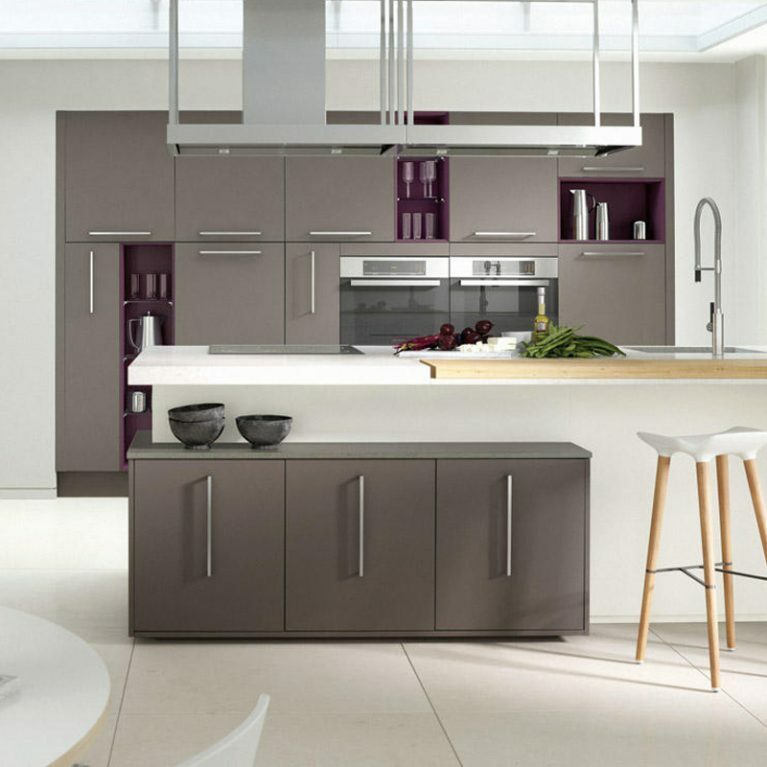 From neutral shades to more bright hues for a fabulous finish, you can pick any of the available colours in either a matte or gloss finish. 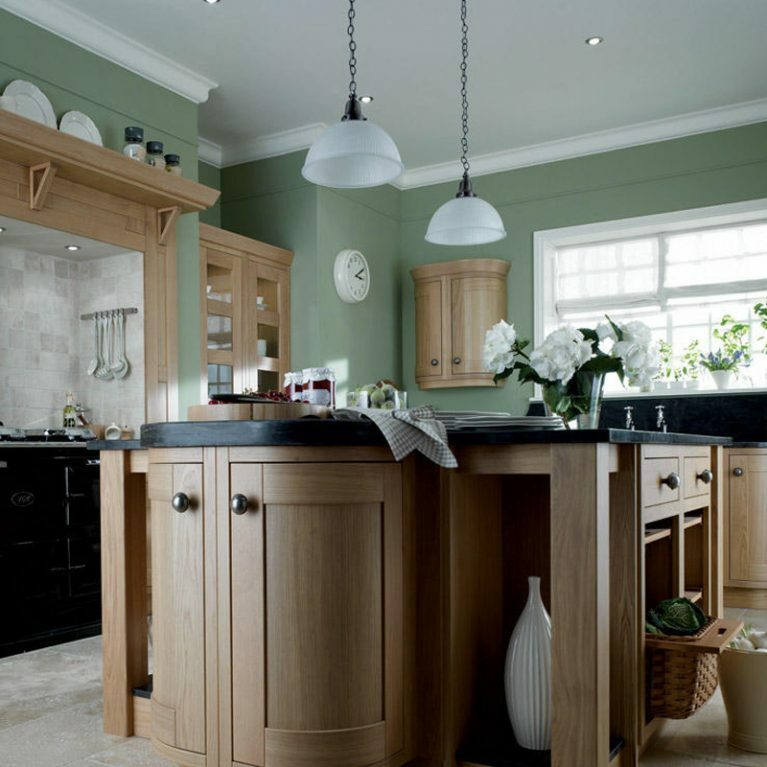 A circular rubberwood breakfast bar is at work in the images here. 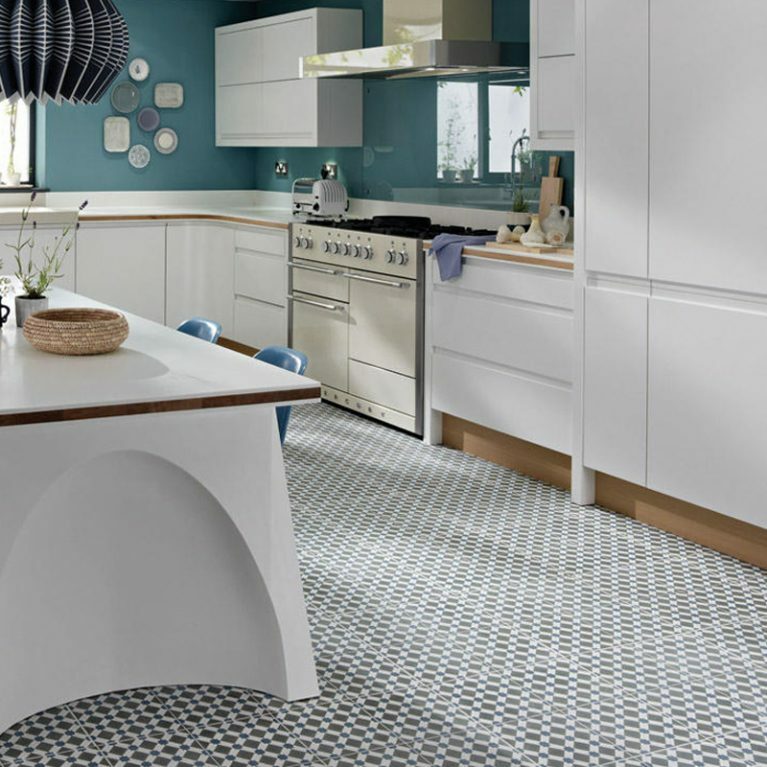 Acting as the perfect contour shade for the white and blue cupboard doors, this design feature offers incredible surface space for food preparation and entertaining too.